And only one is actually a moisturizer! All dry skin needs is more moisturizer. True or false? Oh Em Gee I love this product so much. 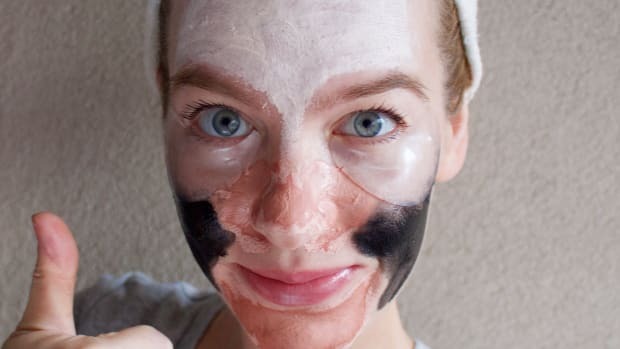 Actually, I like most things Pure + Simple make—they&apos;re the Toronto-based natural beauty chain where you can buy high-quality organic products as well as enjoy some of the best spa services in town. Lactic acid was something I&apos;d been hearing more and more about lately, so when they offered to send me some to try, it was an immediate "yes, please!" 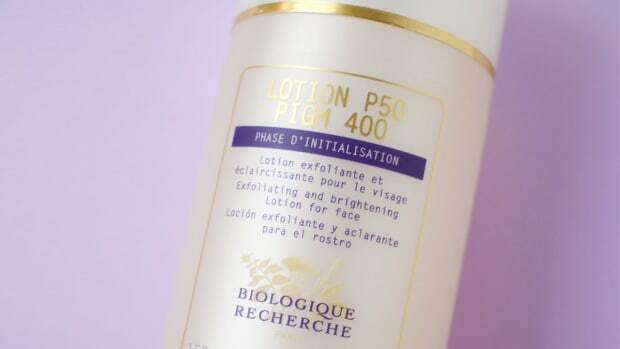 This is a clear, light, fast-penetrating lotion that contains 10 percent natural lactic acid (they also sell a 5 percent version). You put it on after cleansing and leave it five to 15 minutes before putting moisturizer on top, no rinsing. And here&apos;s why it&apos;s awesome. It exfoliates away those dry skin cells (as well as decongests pores if you&apos;re prone to comedones), but it does so in the most gentle, non-irritating way. In fact, unlike other alpha hydroxy-acids (i.e. glycolic), lactic acid is actually hydrating. I can attest to this because my skin stings, gets super-flaky and goes red if I go too heavy on the glycolics, but I&apos;ve been using this for almost a month now with no problems whatsoever. 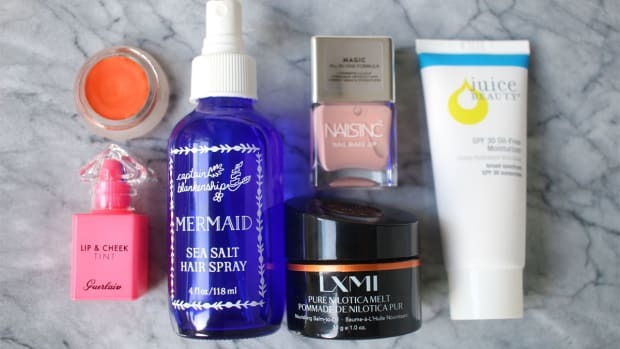 I started with the lower 5 percent concentration (which they recommend if your skin is sensitive), and then gradually worked my way up to the 10 percent. You&apos;re meant to use it at night, no more than once a day, but because I&apos;m doing the Retin-A thing, I&apos;m using it in the mornings. 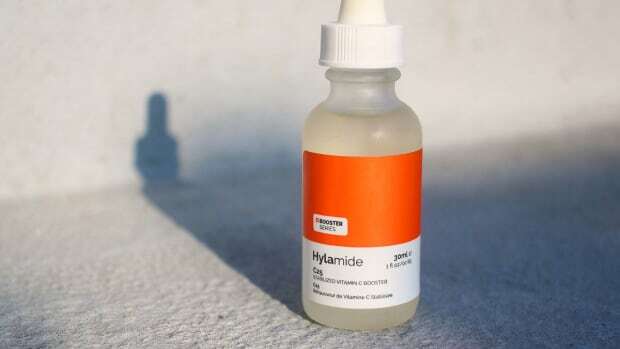 I&apos;m finding it helps immensely with the dry Retin-A flakiness, and is gentle enough that my skin can handle it—whereas I&apos;m sure glycolic would make my skin freak. Also, since it helps stimulate collagen production and diminishes the appearance of fine lines, scars and acne, I feel like I&apos;m getting a double-whammy of goodness! Out now for $60.45 at Pure + Simple or pureandsimple.ca. Overnight masks are the BOMB. Instead of slathering your face in gooey moisturizing goodness that you have to wash off in 20 minutes, you get to leave it to sink in for a good seven, eight hours. Skin repairs itself when you sleep, so you have to think that at night, a mask is doing even more good things for your complexion. The one that I&apos;ve been a dedicated fan of for a few years now is Origins Drink Up Intensive Overnight Mask (smells incredible; works well too). I can&apos;t recall seeing too many others on the market, so was happily surprised to see this newcomer from Clinique. It&apos;s actually a slightly more elegant formulation—because obviously one of the concerns with a night mask is having it go on all greasy and rub off on your pillow (or bedmate). None of those issues here: this has a lightweight, cream-gel texture that penetrates fairly quickly and leaves your skin super-duper soft. I haven&apos;t used it for the full eight hours yet (because HELLO Retin-A), but I have to say that after just two, my skin&apos;s looking pretty darn plump. It would be a great idea to have a tube of this for those times when your skin is looking crap and a regular moisturizer just won&apos;t do. Out now for $38 at Clinique counters; click here to learn more and purchase. I remember a time when I was totally weirded out by the idea of putting oil on my face. ("You want me to what?!") The person who actually introduced me to them was Kristen Ma, co-founder of the aforementioned Pure + Simple beauty brand... and now I&apos;m not scared at all. In fact, I&apos;ve become a bit of a collector. I have my rose hip oil, my ayurvedic saffron oil, my Kiehl&apos;s Midnight Recovery oil, my Decléor ylang-ylang oil... there&apos;s way more, but let&apos;s just say I have a lot in my collection! The reason face oils are so fab is because skin needs both water AND oil. 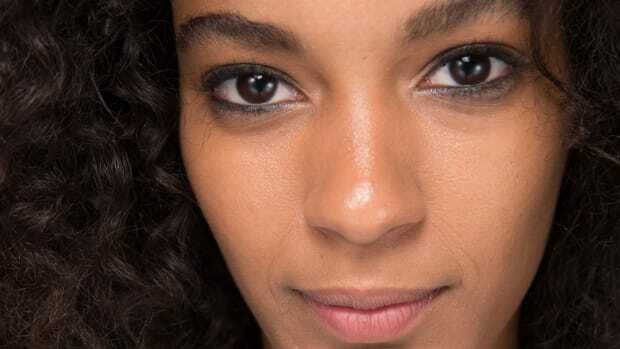 Most moisturizers, unless they&apos;re specifically labelled oil-free, give you both—but when your skin is very dry, a pure oil can give you a lot more nourishment and also protection, because it forms more of a barrier on your skin. So I&apos;ve just discovered this one from Philosophy and it is HEAVEN. I don&apos;t know what the scent is, but it is fruity and it is amazing. The liquid is quite light and runny, so you don&apos;t need more than two or three drops to do your whole face, and it sinks in right away—leaving a moisturized but pretty much matte complexion. You could also mix it into your regular moisturizer if you prefer, to give it an extra hydration boost. Out now for $59 at The Bay; click here to learn more and purchase. If you&apos;re into hippie beauty stuff, then you may have heard of Lavilin. They make one of the best aluminum- and paraben-free natural deodorants... and now the Israeli natural beauty brand has expanded into prodz for other parts of the body, including this serum. Yep, serum! This is basically a body oil that&apos;s super-rich in vitamins and fatty acids, because it&apos;s a blend of a whole bunch of plant oils: jojoba, sweet almond, avocado, sesame, soybean, Brazil nut and argan. Wowza. 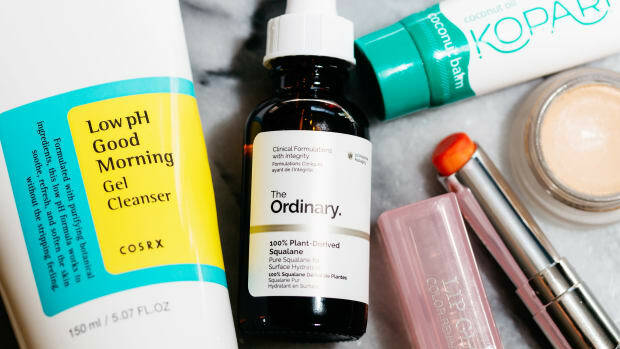 Basically, you should think of it like you do that face oil I just mentioned—it&apos;s going to hydrate your dry skin waaay more than a plain old body lotion. I&apos;ve been experimenting with this on my legs, and while it doesn&apos;t absorb that quickly... and it doesn&apos;t have a fancy smell (it&apos;s natural, after all)... it basically deep-sixed all the scaliness in just one application. Impressed? Hell yes. Because it works so well, I figure I can use this on my legs throughout the winter and save the fragranced stuff for my upper body, where people can actually smell it. You can also mix or layer this with a body cream or lotion, or use it as a bath or massage oil. Out now for $25.59; see here for locations. Now, before I totally diss regular body moisturizers as not up for the job of repairing severely dry skin, there&apos;s one brand that IS an exception. Meet Linacare. This is a Canadian brand that has a serious reputation amongst dry skin-sufferers. Like, people going through chemotherapy and radiation kind of sufferers. And they would know. Co-founder Carol Lee has been an email acquaintance of mine for years, but we finally met back in the fall when she was in Toronto—she comes here often to talk to (and help) patients at hospitals who can&apos;t find anything to soothe their skin. But guess what? This cream does. You can read a few of the testimonials on their site. The reason it works is because the Harvard-trained doctor that formulated the product (co-founder Dr. Henry Fung) engineered an advanced transdermal delivery system that gets the moisturizing lipid molecules into the skin&apos;s deeper cellular layers, unlike regular creams that only moisturize the surface. It&apos;s unscented, a gorgeous white whipped texture, and feels really soothing. Out now for $35; see here for locations. 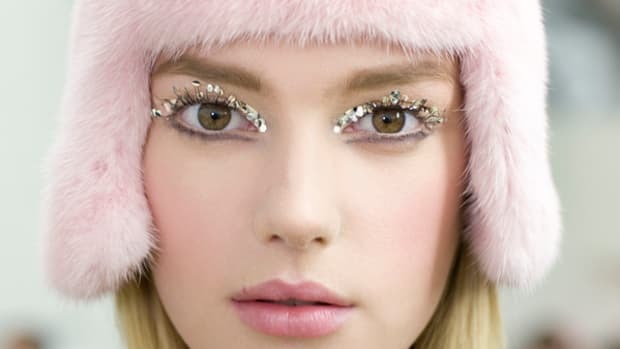 What do you swear by for dry winter skin?